Karbonn A3 and Micromax Bold A51 competing in the low-range of the Android phones and both of these phones in the same Intex Aqua SX. 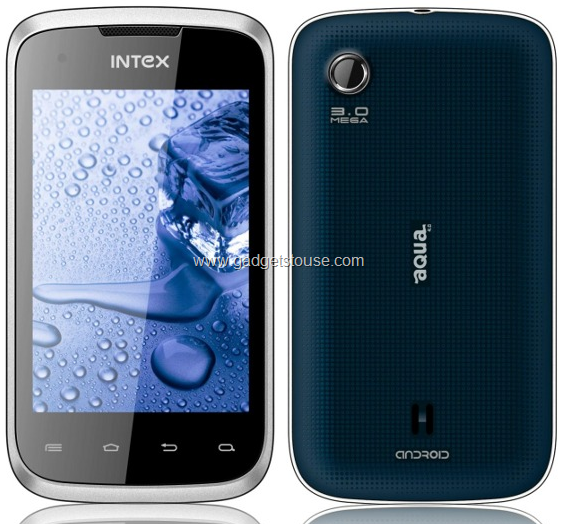 Intex has joined the battle with its new phone named Aqua SX. The hardware specification of this phone is similar to those of the competitors mentioned above but again this helps the uses to have the options and then choose the product on the basis of the brand which can offer them good after-sale service near their location. Let us take a look at the hardware specifications. As expected this phone will not have support to the 3G connectivity but it will be a Dual SIM phone supporting 2G connectivity on both of the SIM slots. Having the screen size of 3.5 inches (similar to that of Samsung Galaxy Y) with capacitive touch and display quality of 480×320 resolution with this phone operating on Android 2.3.6 Gingerbread. The battery backup is around 1450 mAh which is low (considering the old OS version which does not have the feature of saving the Battery like Jellybean or Ice-cream Sandwich). 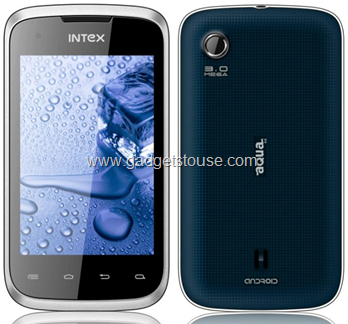 Intex Aqua SX is powered by MediaTek MTK6515 1GHz processor and 256 MB of RAM clearly indicating that it will not be able to bear much of the load of applications at once. Internal Storage of the phone is 512 MB out of which 128 MB is available to the user memory, this storage capacity can be extended up to 32GB with the external memory card slot. The primary camera is of 5MP and the secondary one is of 0.3 MP (VGA) so even at 4500 INR you can take the advantage of video calling which is impressive. Connectivity: 2G, Bluetooth 4.0, WiFi 802.11 b/g/n, microSD card Slot and 3.5 mm jack. Intex Aqua SX seems to be a great phone in this price segment, however there are many options but as per the specs you are getting at this price segment, these days it has become quite affordable to buy a android smartphone which has the all the features of a high end smartphone.